Video Poker is a top online casino game that Australian players have really taken a liking to. This casino game can be played either at a land-based casino or online. The best way to describe this game would be to say that it is a combination of both Poker, the card game, and the slot machine. 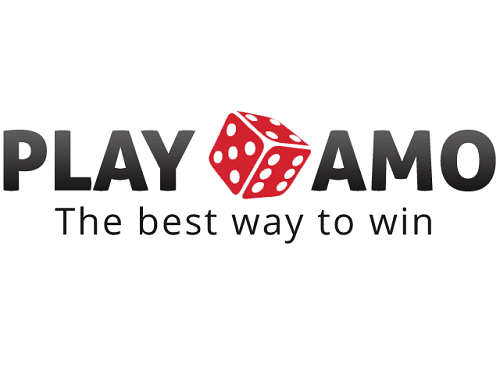 For this reason, it has become a big hit within the Poker community. This casino game is considered to be a very relaxed one considering players don’t have to stress over beating the dealer or other players. Learn more about this gambling game here at Pokies.com. So, one of the greatest debates around video poker comes about when compared with online poker. That is why we, at Pokies.com have decided to put the debate to rest and let you know exactly what the difference between the two is. Online Poker: This is essentially just a game of Poker that is available to play online, and online only. In online poker, players will go up against one another to win, much like they would in a real casino setting. 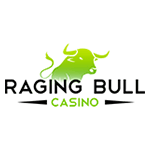 Video Poker: This casino game, however, can be played both online and at a land-based casino. This version of poker is said to be a simplified version of the original. All you have to do is try and make the best possible hand. Thereafter, the results are compared top that of the paytable and that is where it is determined as to whether or not you have made a win. Just like we mentioned before, you could say that this game is a poker and a pokies hybrid of sorts. 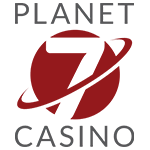 Video poker has some great advantages over playing normal poker. As most seasoned poker players will know when participating in a poker night, that if you have a bad hand, you’ll most likely end up sitting out until the round is up. This can take anywhere between five and twenty minutes. Which can be really boring if you’re one of the first ones out. Each variation of the game has a slight twist on the rules, however, the foundation of the game remains the same. Most forms of video poker will make use the 5-Card Stud hand ranking system, which most poker moguls should be familiar with. Due to the many variations of this popular online casino games, it is often not enough to have a high card in your hand to win. More so, it is also not good enough to have a simple pair of cards in hand. Reason being is that most of these games require a pair of Jacks or better. The game is simple. To start, all players need to do is place a bet and then click on the spin button. Thereafter, you will be dealt five cards, all of which would be face up. Gamblers can then look at what they have been dealt and choose which to discard and which to keep. Once the unwanted cards have been discarded, new replacement cards will be dealt. 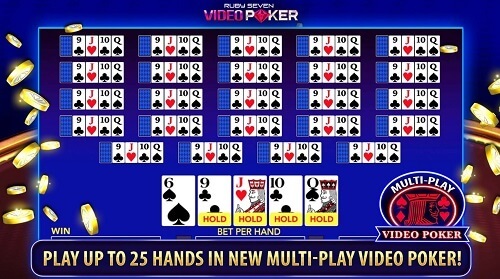 Many of these video poker variants allow their players to discard all five of their cards if they wish to do so. After the replacement cards have been dealt, the results will be compared with that of the paytable. Finally, after the cards have been compared, the game will inform you as to whether or not you have made a win. You can get rid of any cards that you don’t like. If you have a pair of Jacks or better, you have already won. Keep the winning set of cards and discard the extras. Do all online casinos provide Video Poker? 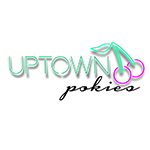 All of the top online casinos that we, at Pokies.com recommend, provide Video poker to their online casino players. With each having their very own set of variants of the popular gambling game. Is it necessary to download the game? Depending on the casino that you choose to gamble at, it is not always a necessity. Many casinos online provide you with the option to either download the casino software and play the game, or play straight from your browser in the flash play game mode. Does the house maintain the house edge? With every casino game you play, the casino will have a greater edge, as this is how they make their income. However, when it comes to video poker, the house edge is considered to be relatively low. Is this a game of luck or a game of skill? So, what makes this game so great is that it incorporates both luck and skill. The luck is from the pokies side and the skill is from the poker side of this casino hybrid. Due to the skill that a player can exercise in this game, they have a greater chance of further lowering the house edge. Can I play this game for free? Of course, you can! Most online casinos offer their gamblers a chance to practice their skill on a specific game before they take any financial risks. If I play in free play mode, can I cash out my winnings? Unfortunately, not, the free play mode is simply a simulation of the game for players to get a feel of how it works. You are only able to cash out your winnings when you have made a real money wager.